Metallica are streaming video of the 2016 track, “Halo On Fire”, from their first full live show of 2019. The January 18 stop at the BOK Center in Tulsa, OK saw the band resume the latest North American leg of their WorldWired tour in support of “Hardwired…To Self-Destruct” after a month-long break from the trek. Two days earlier, Metallica delivered the song during their appearance at the "I Am The Highway: A Tribute To Chris Cornell" concert at The Forum in Los Angeles – watch their full set here. 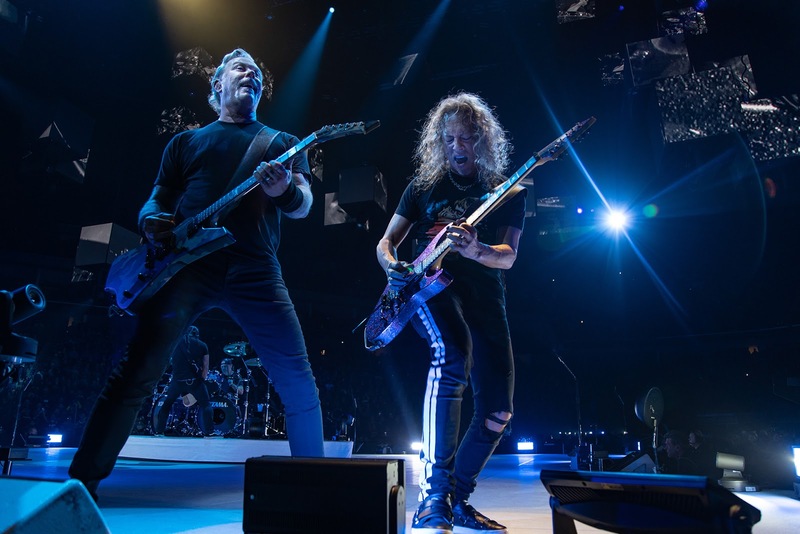 Metallica will wrap up the North American dates in March, and begin a full summer series of European shows in Lisbon, Portugal on May 1.